That’s how strongly we feel about our products and customer service. Our Mission is to provide a hassle-free online shopping experience for our customers; that’s why integrity, ethical product sourcing and a low environmental impact is what we’re about. 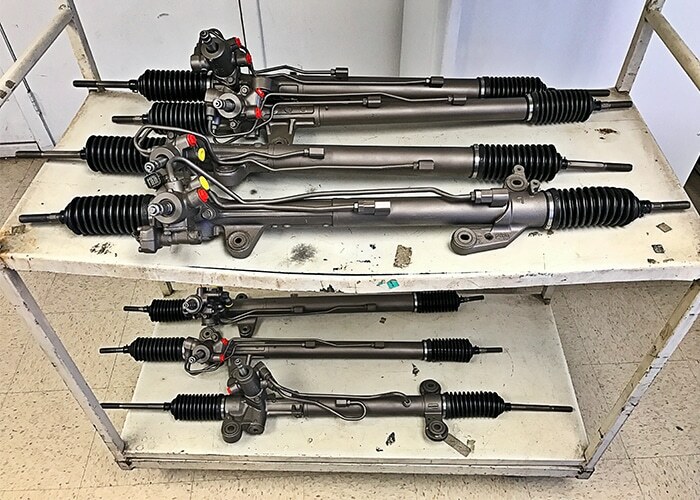 The majority of automotive professionals have never had any issues with our Remanufactured Steering Racks or Gearboxes, and are extremely happy with their ease of installation. But naturally, we have encountered some issues from time to time; whether because of a twice-in-a-hundred chance defect, installer error or misdiagnosis. Regardless of the reason, SteeringPros.com is committed to making sure our products work for your Repair Shop and for your customers. 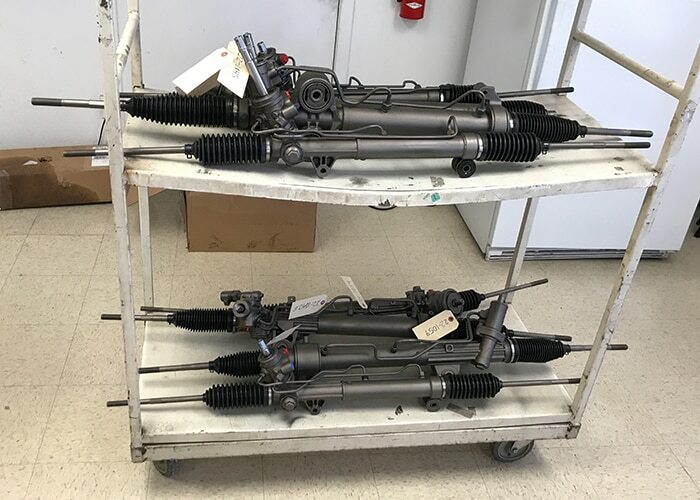 Our background is in the Sales and Marketing of Aftermarket Auto Parts; our focus is Remanufactured Steering Gears for the Do-It-For-Me (‘DIFM’) market. Our goal is to simplify the online order process for automotive professionals by combining all possible Year / Model / Trim variations onto a single page, which reduces complexity and saves time. We are committed to giving our customers the best value possible on products by inventorying as many Steering Parts in-house as we can. But through partnerships with like-minded vendors throughout the U.S.A., we’re able to deliver more products — faster — at competitive prices. In fact, if you find a comparable Gearbox for less elsewhere (that isn’t made in China), please contact us. We’d appreciate the opportunity to be a competitive option for your business. Unlike some of our competitors, Steering Pros, LLC has never sacrificed quality to achieve a higher profit margin. All Gearboxes are fully reconditioned Original Equipment Manufacturer (‘OEM’) Cores, and tested thoroughly for quality assurance to guarantee the product’s lifespan will last for years to come. We source 100% of our Parts Catalog from U.S.A.-based machine shops (called “Rebuilders”) with outstanding reputations for quality. We pride ourselves on our understanding the Automotive Industry and the needs of our core customers — specifically Dealerships and Independent Repair Shops. We understand that most Auto Parts websites are too complex to use, unclear in their layout, policies and product availability. We’re far from perfect ourselves, but we’ve tried to create a website that is easy to use by listing all Year / Make / Model / Trim variations on a single page to reduce complexity. We’re also available by phone or email between the hours of 9:00 AM to 5:00 PM (PST), Monday–Friday, to answer your questions, process orders, and resolve defective product issues (if any). Just follow the 4 steps below . . . Improve your knowledge by reading our Blog and FAQs. Founded in 2015, we are an online Auto Parts distributor operating in Las Vegas, Nevada. 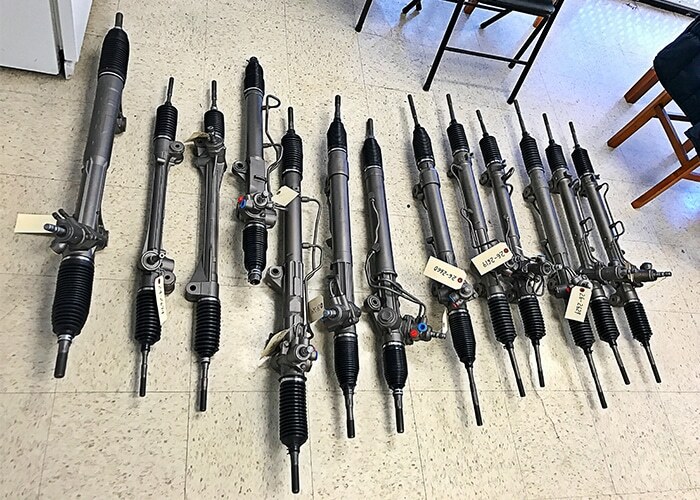 Our Mission is to be a leader in Aftermarket Steering Racks and Gear Boxes online. Orders received before 3 PM ET (M–F) are shipped same-day. Orders submitted after 3:00 PM will process the next day.